New Hope for Children Orphanage: "Ocean" came forward at altar call: 180 adults, 40 children find the Lord! "Ocean" came forward at altar call: 180 adults, 40 children find the Lord! Today is the final day of the meetings in Bhadrachalam. I gave an altar call. There were 230 people and 40 children attended the meeting. All children came forward, and 180 adults came forward. Two youths wanted me to baptise them immediately . All Glory and Honor to my Father in Heaven! Heaven rejoiced!. Everyone felt and experienced the Day of Pentecost. Hallelujah, Hallelujah, Hallelujah!. 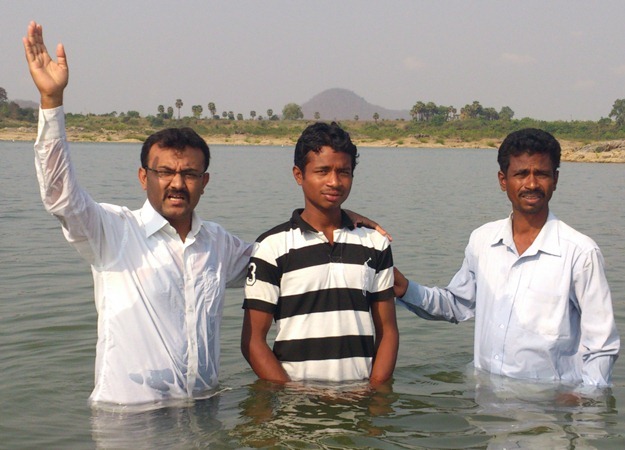 Young man is baptized at Bhadrachalm! 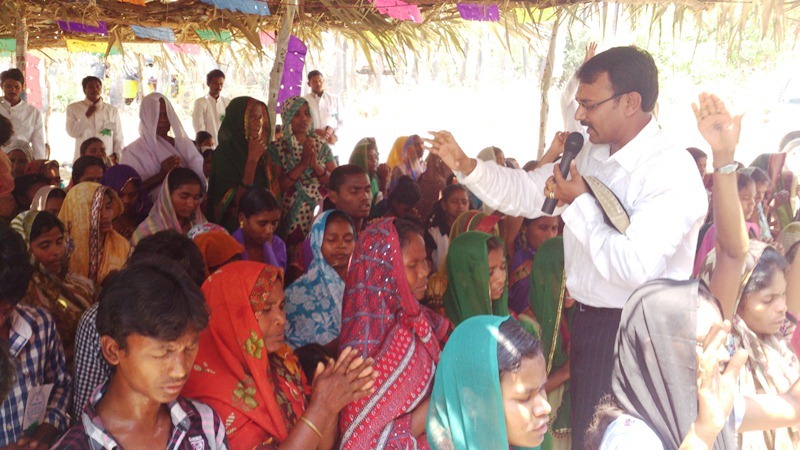 Please consider becoming a partner with Pastor George to support ministry to orphans and widows, evangelism, church-planting, and pastor training. We prayerfully seek those who will carry God's love and His message to the people of India. Your gift of any size will be a wonderful blessing for this ministry! Just click on the GIVE button to go to our secure online donation page.